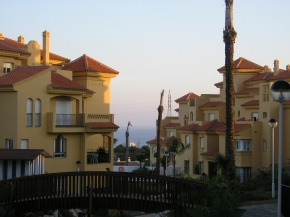 Fuengerola Apartment rental: Atalayas de Riviera,2 bedrooms apartment, enjoy the "Costa del Sol"
Atalayas de Riviera,2 bedrooms apartment, enjoy the "Costa del Sol"
The holidays apartment is composed by one-bedroom with a large bed and another one with two individual beds. 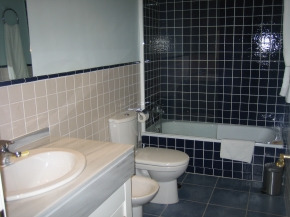 There are two bathroom, a sitting room and a completely furnished kitchen. The holidays apartment has a terrace. Capacity maximum: 4 people. Atalayas apartments are situated in an ideal place to enjoy the charm and life characteristic of the Costa del Sol next to the traditional village of Mijas, and situated only five minutes from the beach, the Atalayas apartments are also the golf lover dream, having at their disposal different clubs and fields where they put their favourite sport. Also, the apartments of Atalayas y Riviera are located in an area surrounded by shopping, leisure, supermarkets, bars and nightclubs. 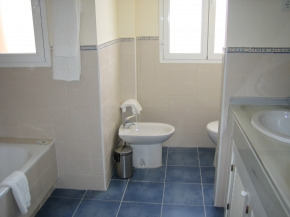 All of the apartments have two complete bathrooms with hairdryer, lounge with Sat TV, terrace and fully fitted kitchen (vitro ceramic, microwave, oven, dishwasher, washing machine, iron...). Internet and free parking. Cleaning and linen change once a week. 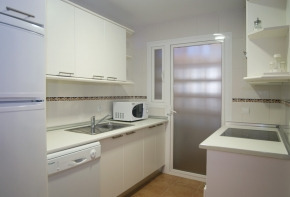 Los Flamencos, 3 bedrooms Villa, enjoy the "Costa del Sol"